Call Ken’s Sewer Service for all your plumbing needs. Commercial toilets seem to be the most powerful in the industry but that doesn’t mean you can’t have one at your own house. Power flush toilets can either be a Sloan or Zurn flushing toilets or a true air + water flushing toilets. Power toilets are louder but they don’t clog up that often like your own residential gravity flushing toilet. 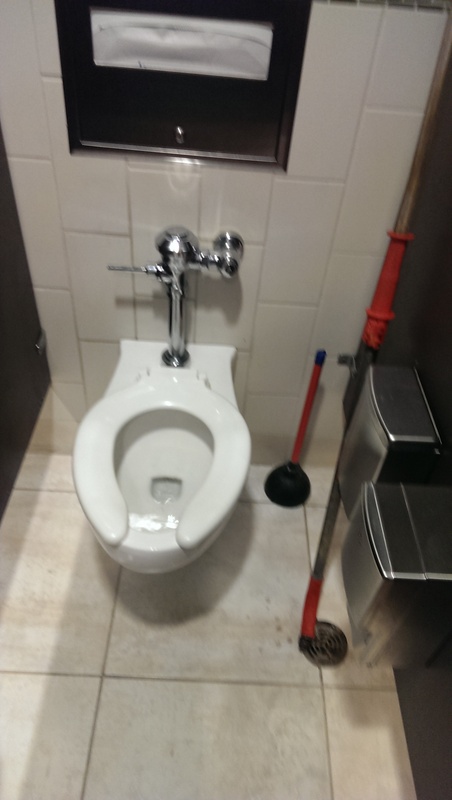 Years ago 3.6 gallon flushing toilets went to 1.6 gallon flushing toilets. Yes, they sell toilets flush 2 gallons less water. So naturally they clog and block up more then back in the day. What I find even more interested is that on top of having only 1/6 gallons of water to flush they also sell toilets that are called power saver toilets. Power saver toilets are toilets that flush only half or less of the 1.6 gallons. There are still good flushing gravity flushing toilets out there to purchase but you’ll easily spend over $250 for a toilet. Be careful and treat your toilet with respect. It’s not cheap to replace a new one. Ken’s Sewer Service installs, repairs and replaces all toilet and every brand. If your in the market for buying a new toilet call Ken’s Sewer and will guide you in the right direction for what to purchase and will also set up an appointment to install it.